Customer satisfaction ratings are average or worse. Gets fewer complaints to state regulators regarding life, home and auto insurance than other companies relative to its size. Allstate is probably best known for its car insurance policies, but the giant company offers a variety of financial services. With its massive reach, wide range of products and many local agents, it’s a good choice for consumers who want an accessible one-stop company. Accident forgiveness, which means your rates won’t increase because of one accident, even if it’s your fault. Safe driving bonus: For every six months of accident-free driving with Allstate, you can receive a check. Deductible rewards: For each year with no driving violations, you earn $100 off your collision deductible, up to $500 off. Allstate takes the first $100 off when you sign up. New car replacement: If you total a new car within the first two model years, you can get a check for a new car, not just your car’s depreciated value. Roadside assistance in three different options: pay-per-use, as an add-on to auto policies, or from Allstate’s Motor Club, which is a subscription service similar to AAA. Claim satisfaction guarantee: Allstate issues up to a six-month credit on your car insurance premium if you’re unhappy with how a claim was handled. In states where it’s available, the guarantee comes free with all standard policies. Drivewise: Allstate rewards you with up to a 3% discount just for using its Drivewise app, which analyzes your speed and braking behavior, as well as what time of day you drive. You can earn an additional 15% back after your first 50 trips and every six months you drive safely afterward, and earn rewards points toward shopping discounts. Even non-customers can sign up for the rewards points program, but it’s not available in every state. 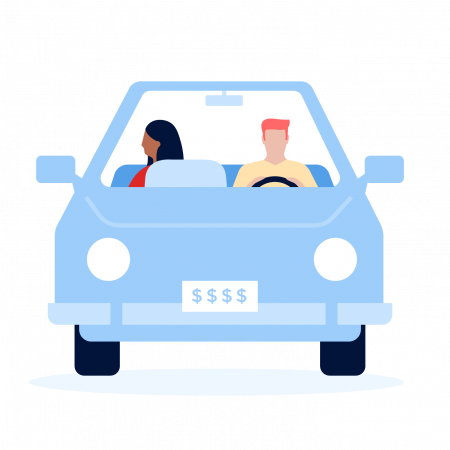 Rideshare insurance: Allstate now offers coverage in 47 states and Washington, D.C., for customers who drive for ride-hailing services such as Uber and Lyft. Those companies’ full coverage only kicks in while you’re carrying passengers, with limited coverage in between rides. Ridesharing insurance from Allstate is built into your regular policy and covers you the whole time your app is on. Water backup coverage, which pays out if your sump pump or drain backs up and causes water damage. Scheduled property coverage, which pays out if certain valuables are stolen or damaged. Green improvement, which helps cover the additional cost of upgrading to energy-efficient versions of items you’re replacing after a claim. Electronic data recovery, which pays to replace lost or stolen computer data, such as photos and videos. Identity theft restoration, which can reimburse for legal fees, lost wages and other costs if your identity is stolen. HostAdvantage: If you temporarily rent out your home via Airbnb or other services, you might be interested in Allstate’s home-sharing insurance. It pays out if renters destroy or steal your personal property. Coverage costs as little as $50 per year and is not available in every state. Term life insurance from Allstate is available in term lengths between 10 and 30 years, and does not have to be in 5-year increments like most term life products. You can choose from options like a monthly payout, or convert the policy to permanent life insurance in the future. Allstate also offers whole life, universal life and variable universal life. Allstate’s financial strength is “superior,” according to ratings agency A.M. Best. Financial strength is important because it indicates how well an insurer can pay claims. Allstate had fewer than the median number of complaints to state regulators in 2018 relative to its size for auto, home and life insurance, according to the National Association of Insurance Commissioners. Across the board, Allstate’s customer satisfaction ratings are average or lower. Website: Allstate’s website has several tools and resources on its site, including some for retirement planning or to help you move. You can also find a local agent, get a quote, locate a mechanic or read about product offerings. Allstate’s main mobile phone app allows you to pay your bill, manage your policies, check on the status of a claim, get roadside help and even find your parked vehicle. It includes the Drivewise feature that tracks driving behavior. The Allstate Digital Locker app is free and helps you create an inventory of your home’s items, which can be helpful if you ever need to make a claim. QuickTrip from Allstate helps you get more from your day by syncing with your calendar and finding the smartest order for your to-do list. You can add your car’s VIN to the app for personalized maintenance reminders.